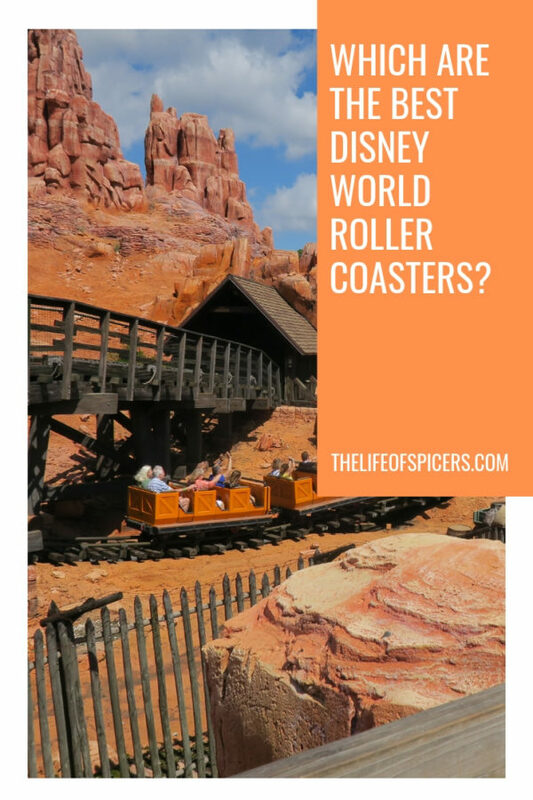 There is something about Disney World roller coasters that turn me from a scaredy cat into loving the atmosphere and willing to give more a go. At home in this country, I am always the bag holder when we go to theme parks. I can just about manage the roller coasters at Legoland, but take me to a bigger theme park and it’s a different story! 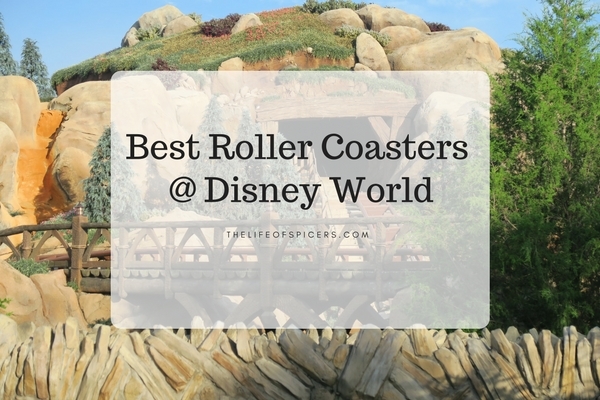 I’ve realised after three visits there are some great Disney World roller coasters that we all love going on as a family. One of the best Disney roller coasters for beginners is Seven Dwarfs Mine Train. Located in Magic Kingdom in the new Fantasyland Section of the park. This roller coaster opened in 2014, and we were lucky enough to ride it on our first visit in July 2014. Minimum height for this roller coaster is 97 cm meaning it’s one of the best ones for the younger children to experience. 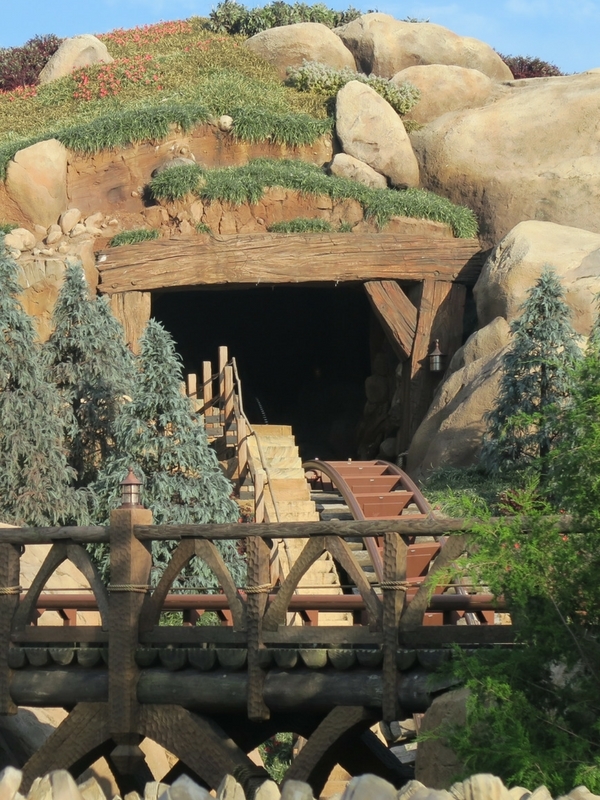 Themed around the Seven Dwarfs you ride a two minute journey in a lockable mine cart. Stopping along the tracks to go through the Dimond mines and get caught up in the amazing theming of the ride, you are propelled forwards at the top of the tracks and down the twisty track. The ride is gentle yet speedy, and it’s always over way too quickly. Seven Dwarfs Mine train is still very popular despite being open for a few years now, and wait times in peak season can reach two hours. It’s always advisable to get a Fastpass for this ride if you can. Big Thunder Mountain is also located in Magic Kingdom. 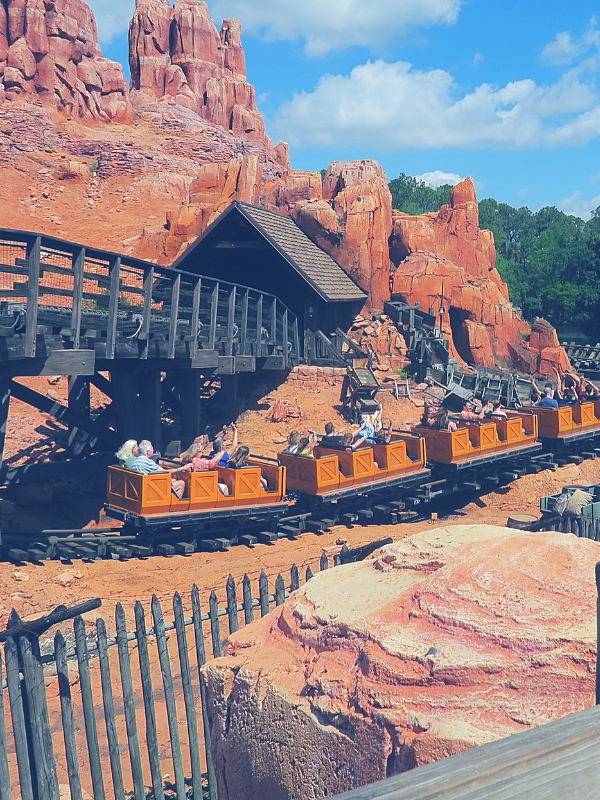 It’s located in the Frontierland section of the park and is known to be the “wildest ride in the wilderness”. You have to be 1.02 metres tall to ride this roller coaster. Big Thunder Mountain is a little less comfortable than Seven Dwarfs Mine Train, and feels a little faster. It takes on a completely different feel when you ride it at night as well. I love Big Thunder Mountain and have been known to compare it to Seven Dwarfs Mine Train in the past. Queues are less for this roller coaster, and you can easily have a short wait in the morning whilst everyone else is queuing for other attractions. Expedition Everest is located in Animal Kingdom next to the seating arena for Rivers Of Light. We rode this on the first day of our 2016 trip, and whilst I am not a big fan of being thrown over large bumps, or the feeling of dropping, I was willing to give this roller coaster a go. You have to be 1.13 metres to ride this roller coaster, and when we started travelling up the mountain, I knew it was going to be a fast ride coming back down. Expedition Everest takes you on a journey around the Everest Mountain, to the top where the Yeti has broken the tracks. No where else to bo but backwards through the dark down the mountain, before stopping and change direction to shoot down the big drops forwards. Expedition Everest is a thrilling ride, and whilst it scared the life out of me whilst riding it, I finished the ride with a smile on my face so it was definitely worth the experience. Wait times can be quite short for this roller coaster, especially since Pandora opened in Animal Kingdom. Space Mountain is located in the Tomorrowland section of Magic Kingdom, It’s a roller coaster I haven’t been able to talk myself into experiencing as of yet, but it’s on the list as I will conquer this coaster in the future. You have to be 1.12 metres to ride this roller coaster, a coaster that travels fast in the dark which I think is why it’s putting me off slightly. Space Mountain is definitely one of the best Disney World roller coasters according to online forums. 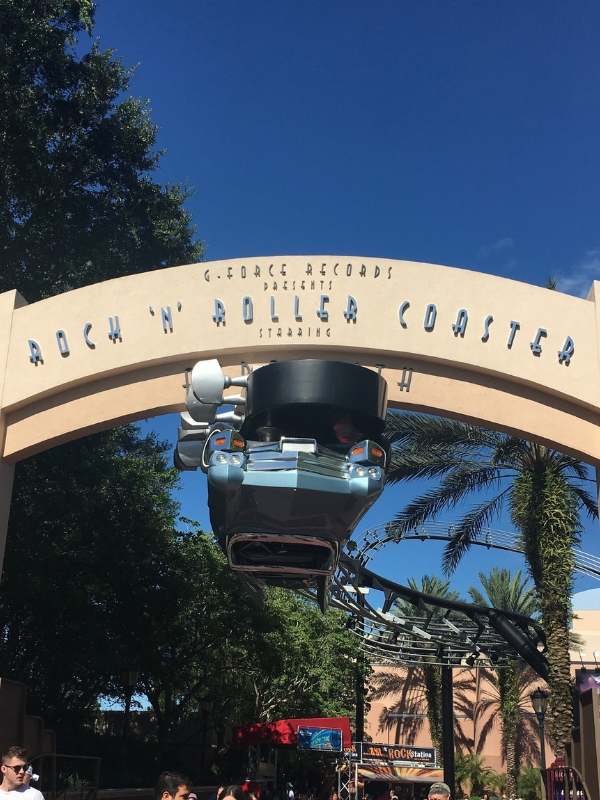 Rock N Roller Coaster is located in Hollywood Studios. A high speed roller coaster that travels in the dark, and goes upside down. Themed around Aerosmith, you have to be 1.22 metres to ride this roller coaster. I haven’t been brave enough to ride this roller coaster as of yet either due to the upside down factor, but I will again conquer this on a future trip. 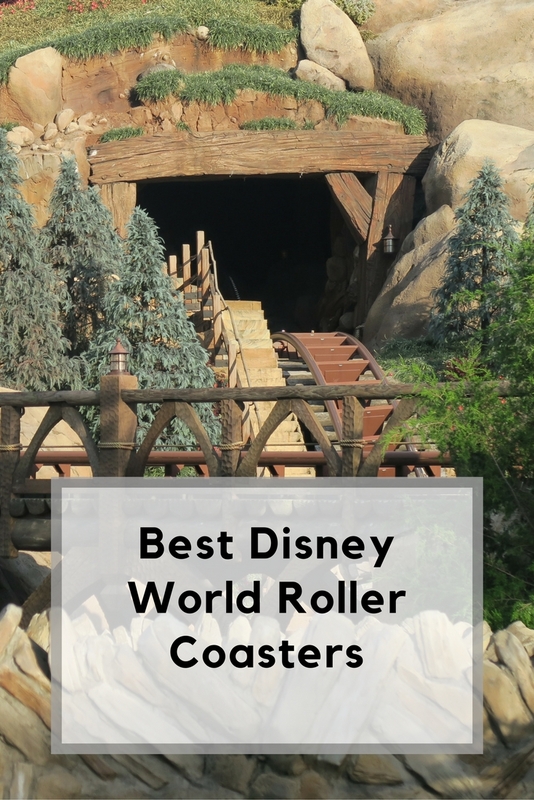 Other Walt Disney World roller coasters include Primevil Whirl in Animal Kingdom, a more gentle coaster but one that is quite jerky according to all videos I have watched. You can also get a great introduction to a roller coaster in Magic Kingdom by riding Goofy’s Barnstormer. This roller coaster is a quick smaller version, suitable for smaller children. It’s also worth remembering that we will be seeing new Disney World roller coasters in the future when Toy Story land opens in Hollywood Studios, and also Tron in Magic Kingdom. 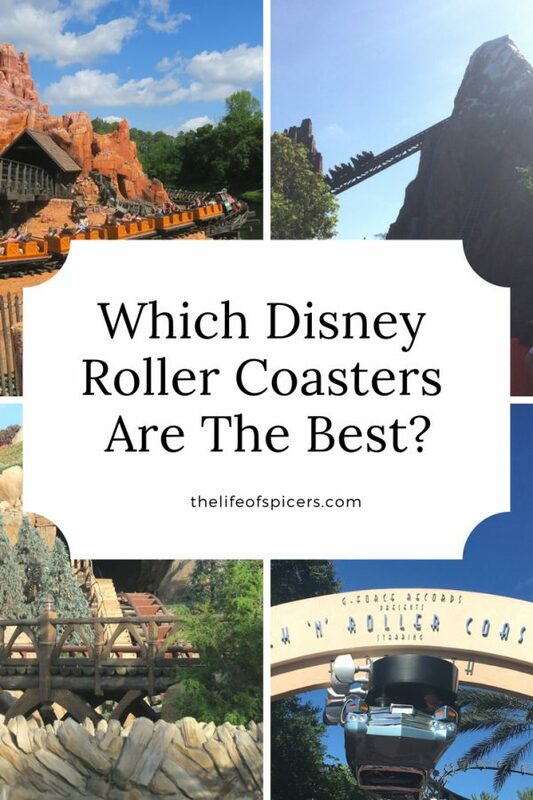 What are the best roller coasters at Disney World?